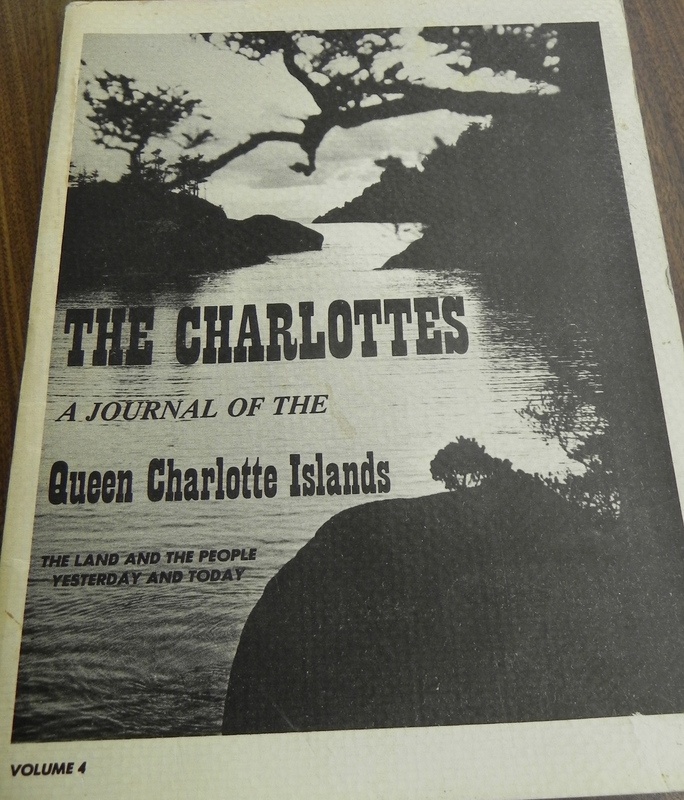 This is a series of at least 5 volumes published by The Queen Charlotte Islands Museum Society in the 1970’s. They are subtitled The Land and the People – Yesterday and Today. 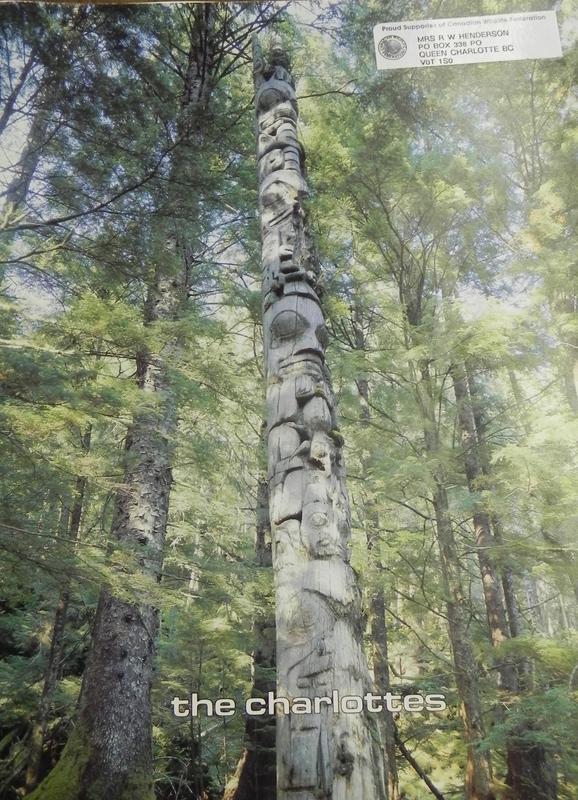 Volume 2 has stories such as Wesley Singer’s “Early Years in Masset”; Agnes Mathers’s “Sandspit Saga” as well as “Seabirds on the Charlotttes” – “Thrumps and Grunts in the Night” by Bristol Foster and 10 other stories. Volume 3 has stories such as “The Exploits of a Pioneer Issei” by Bertha Metcalf; “Kayaking on the Charlottes” by David W Ellis and “Excitment – Miller Creek Style” by Mrs. G. Leary and 15 other articles. Volume 4 has stories such as Fred Ward’s “Diary of a Journey” and George Winkler’s “The Tale of a Moveable Mine” as well as 11 others. 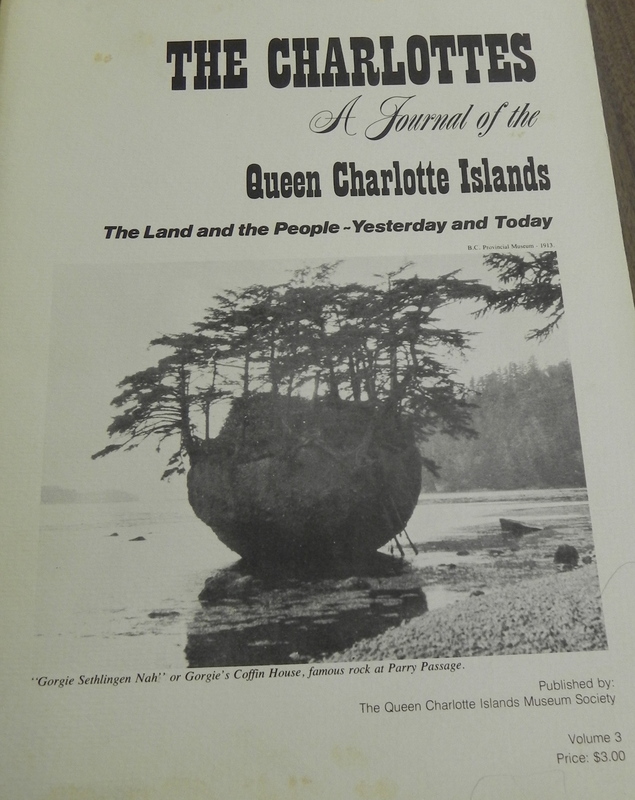 Volume 5 has the “Richarson Ranch Archaeolgogy Site” by Knut Fladmark and Trisha Gessler’s “Emily Carr on the Queen Charlotte Islands” plus 5 other stories.